Only once has Monza failed to appear as a round of the F1 championship (in 1980), and during that time the track has actually changed very little. Sure, the banking fell out of use in the 1960s, chicanes appeared in the early 1970s and the Lesmos have been tightened over the years, but with the possible exception of Monaco, no current F1 circuit has remained so similar in layout for so long. The combination of its longevity, the passionate tifosi, and the fact that it’s long been the fastest track in F1 has lent it an iconic status; it’d be hard to imagine a future where it’s not part of the calendar. Here are 10 wonderful onboards from Italy’s ‘Temple of Speed’. 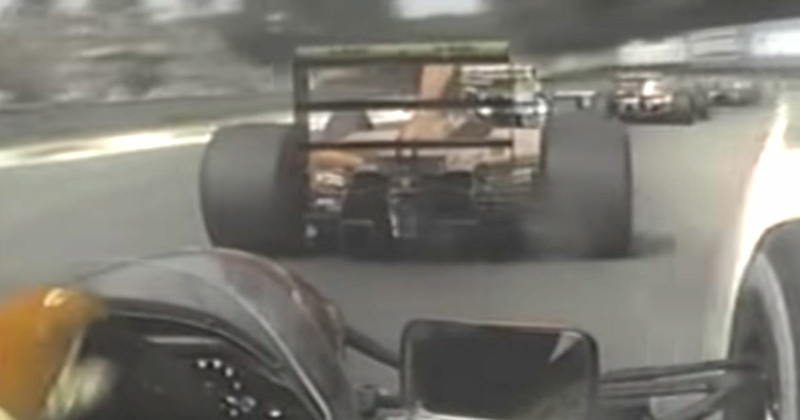 Check out the frantic opening laps from onboard Jacques Villeneuve’s BAR in the 2001 race. After making a really poor start, he tries everything to overtake the Arrows of Enrique Bernoldi, which he eventually does - around the outside of the Parabolica. Damn, that car looks a handful! How about a quick warm-up lap with Mika Hakkinen? This is from 1997 (the best F1 season), the first year of the West-McLaren livery. It’s amazing how simple the steering wheel looks compared to today, given that this was only… wow, 21 years ago. Where does the time go?! The first half of this video is Nico Hulkenberg trying to get past Jean-Eric Vergne’s Toro Rosso. The second half of this video is Nico Hulkenberg trying to catch up to Jean-Eric Vergne’s Toro Rosso with slightly less-fresh underwear. Here’s the mandatory video of a V12 Ferrari. Ride with Alain Prost at the start of the 1991 race - teammate Jean Alesi makes his usual incredible start and on the next lap showers Prost with a faceful of gravel before eventually losing out. How about a Daniel Ricciardo overtaking montage? In 2014 he made a terrible start and had to fight his way through the order, passing cars with much more powerful engines. He made the most of Monza’s heavy braking zones to ambush his rivals - including that sumptuous dummy move on his own teammate. How’s this for an angle? The rear-facing camera on Stefano Modena’s Brabham captured all sorts of action on the opening lap in 1990. From Emanuele Pirro’s spinning Dallara at the first chicane, to showering Alex Caffi’s Arrows with sparks, right through to navigating the carnage of Derek Warwick’s massive accident at the Parabolica. Finally, here’s something a little bit different. The 1966 film Grand Prix is a must-watch for F1 fans, purely because of the awesome cinematography (for which the film won an Oscar) and the onboard footage.